Feared UFC heavyweight who is a former UFC Interim Heavyweight Champion. He was a two-time NCAA Division II champion at Western State College. He won every fight of his career by KO, TKO or submission. He had two children named Kamden and Alexia with his wife Lani Carwin. 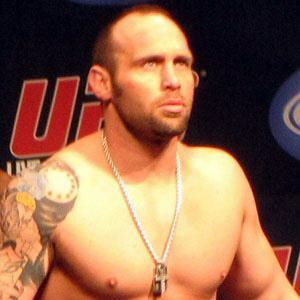 He knocked out Frank Mir to win the UFC Interim Heavyweight Championship on March 27, 2010.